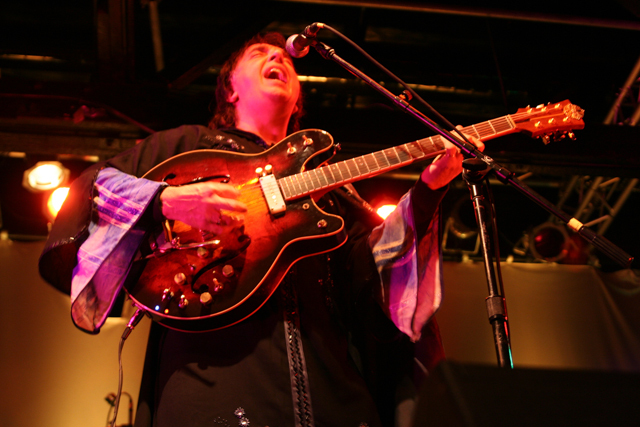 Sergio Dias of Os Mutantes at the Echoplex in 2009. Photo by Bob Lee. Here in LA, “festival season” is practically year-round — we just take a little break between Thanksgiving and Valentine’s Day. We can’t think of a better way to send out 2017 than the inaugural Tropicalia Music & Taco Festival, happening this Saturday at the Queen Mary. It’s a truly diverse and exciting lineup that promises booty-shaking good times. We’re most thrilled by the return of Os Mutantes to LA, one of Brazil’s most legendary musical exports and OG participants in the Tropicalia movement circa 1968. But there’s truly something for everyone — mod psychedelia from Chicano Batman, disco diva Evelyn “Champagne” King, reigning kings of traditional Norteno music, Los Tigres Del Norte, cumbia legends Very Be Careful, old-school soul from Brenton Wood and the Delfonics, modern alt-rock from the Buttertones, Colombian electronica star Kali Uchis, rockabilly from the queen herself, Wanda Jackson, street beats from Ginuwine, Low End Theory and Madlib…and we haven’t even started talking tacos yet. The event features all-you-can-eat tacos until 4pm from long-time favorites like Pez Cantina, Dia de los Puercos, Chichen Itza, Burritos la Palma, Macheen Tacos and Mariscos Jalisco. I’d spring for any taco fest where the curators know enough to put those names together. And it takes place on the grounds of the Queen Mary, which has put on some of the most enjoyable all-day festivals LA has ever seen. Tropicalia Music and Taco Fest, Saturday November 11 at the Queen Mary in Long Beach. Gates at 11am. $95 – $150. VIP options available. Tickets available here. There will be no parking on-site at The Queen Mary. All parking will be offsite at the Long Beach Convention Center with free shuttles provided. 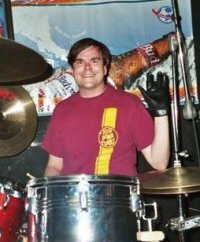 This entry was posted in Events, Music, Upcoming Events. Bookmark the permalink.